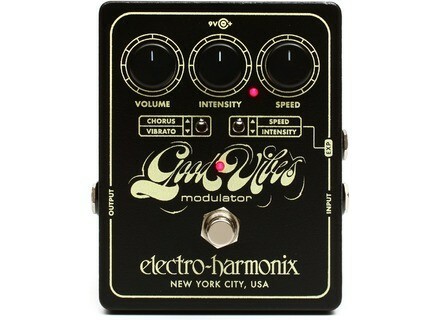 Good Vibes, Tremolo/Vibrato for Guitar from Electro-Harmonix. The Good Vibes that Electro-Harmonix introduced at NAMM 2015, is now listed on the manufacturer’s website, and soon at your local retailer. 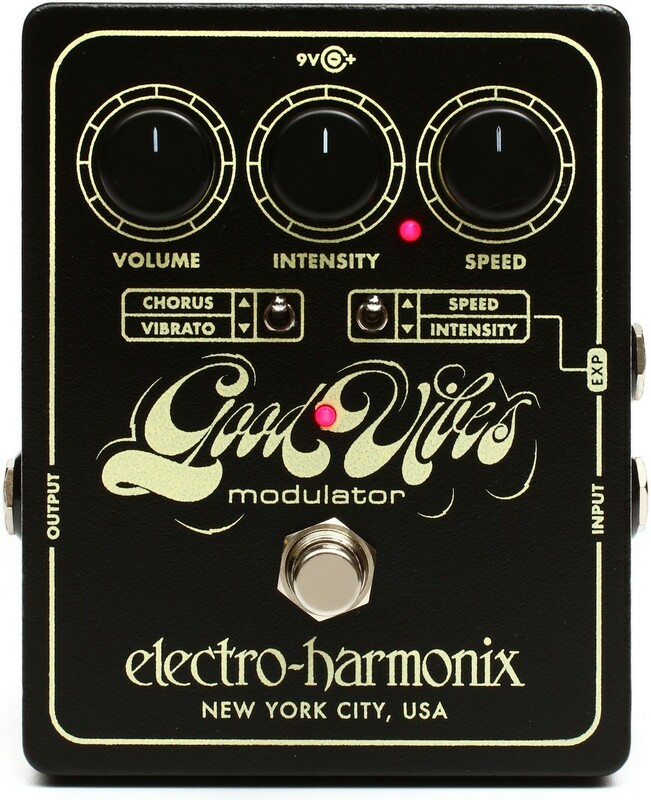 The EHX Good Vibes is a modernized version of the legendary Uni-Vibe chorus/vibrato effect from the 60s. It features the original photocells to create the chorus and vibrato effects, and Electro-Harmonix boost the power rails for extended headroom and definition, and you can connect an expression pedal to control the speed or intensity. Controls on the Good Vibes include a switch for vibrato or chorus effect, volume, intensity and speed knobs, a true bypass footswitch and a light indicator that permanently informs about the effect speed. The Good Vibes is powered by a 9.6 V DC power supply (included). US price is $179.99. More info at www.ehx.com. Mod Kits DIY The Contortionist fuzz in v2 Mod Kits DIY introduces the second generation of The Contortionist fuzz pedal for guitar. Ed Sheeran’s new collaboration with Martin & Co Martin & Co introduces the second guitar designed in collaboration with Ed Sheeran, the X Signature acoustic-electric model. The Rivera Venus Deux in special limited edition Rivera announces that they will release a very limited edition of its Venus Deux guitar combo with a special 10” speaker.